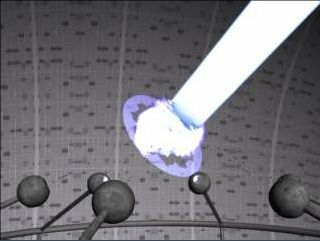 Based on the ion research developments, the scientists constructed a ionizator and put it into a Ion cannon. Each type of ship or defence is equipped with different type of weapon. Those weapons can be Laser, Ion or Plasma. Each level of this research increases the attack with 5% of all ships and defence using Ion.